Written by: Gene Luen Yang / pencilled by: John Romita Jr. The “Truth” story arc which is currently playing out across Superman and Action Comics continues to cause woes for the Man of Steel and those closest to him as writer Gene Luen Yang and penciller John Romita Jr. deal with the fallout from last month’s revelation of Superman’s true identity to Lois Lane and build up the threat from new villain Hordr_Root. Superman is a great character and it’s often difficult to keeps things interesting over multiple titles month after month for an individual with almost limitless abilities and virtual invulnerability. Although divisive amongst the readership, Supes’ current status quo is a welcome diversion from the norm which between reduced powers (and the dangerously unpredictable new ‘super-flare’ ability) and the exposure of his true identity, it has facilitated effective physical and emotional vulnerabilities for the character. It’s still early days for writer Gene Luen Yang (having only begun his run with #41) yet he’s proven adept in his characterisation and his script for this issue rightly takes time to explore and develop the new Clark/Lois dynamic that’s been sorely lacking from Superman’s post-New 52 world. Despite this, the impending threat from Hordr_Root and the climactic showdown feels a little rushed given the more measured pace of those earlier moments between Lois and Clark. Similarly, the closing revelations of Superman’s real identity don’t quite pack as dramatic a punch as it could have. 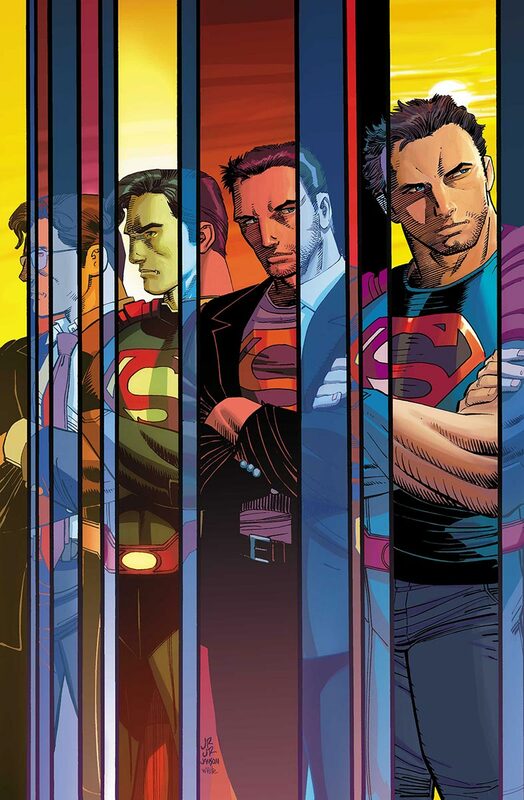 It could be due to the fact that we’re already seeing the consequences play out in Greg Pak and Aaron Kuder’s Action Comics run (as well as the Batman/Superman and Superman/Wonder Woman titles) that it feels a little flat, or it may just be a case of waiting to see the bigger picture as the storyline continues to unfold in the coming months – we’ll see. In terms of the art, I’ve never been a big fan of John Romita Jr. and was even dismayed to hear he would be pencilling Superman. Admittedly his character work here is fairly decent and with the aid of inkers Klaus Janson and Scott Hanna, effectively conveys the emotional beats of Yang’s script through dynamic facial expressions in the book’s earlier pages. 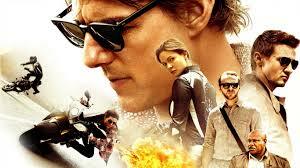 The later action sequences are quite striking and fluid although at times look a little rushed. It’s all quite tolerable yet not hard to imagine (or even yearn for) how great this title would look – and read – if Ivan Reis (who’s sadly been nabbed for DC’s solo Cyborg book) was partnered with Yang. The bottom line: Superman #43 is an enjoyable if flawed instalment in the Man of Steel’s current storyline. The character’s new status quo is a welcome one and time will tell if the concept will ultimately live up to its potential. Superman #43 is published by DC Comics and is available in print and digital formats now. Cover art for DC Comics’ ‘Superman’ #43 by John Romita Jr. Following the steady (but no less enjoyable) build-up of the opening chapters of “The Darkseid War”, the third instalment of writer Geoff Johns’ latest epic moves things up a notch in a tense and exciting issue of DC’s main Justice League title. 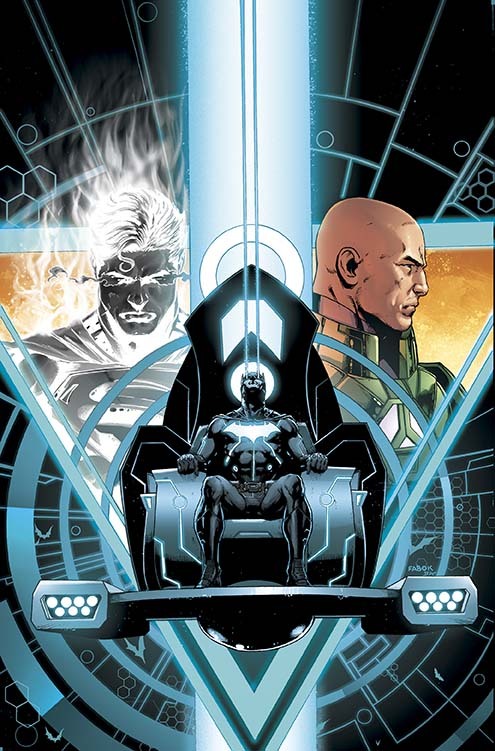 Justice League #43 kicks off where last issue’s tantalising cliff-hanger left off with Bruce Wayne’s Batman elevated to god-like status with the power and insight granted him by the ‘Mobius Chair’. Not since Frank Miller’s The Dark Knight Returns have we seen a Batman this formidable and imposing, establishing his newfound superiority over the rest of the League by literally hovering above them – the pleas of Green Lantern, Wonder Woman and Cyborg et al falling on deaf ears. Whilst there is tense interplay between Bat-god and his fellow heroes, the isolation of Lex Luthor and Superman on Apokolips allows for some sharp dialogue between the unlikely ‘allies’ as they fight to survive. It’s all the more enjoyable given Superman’s vulnerability due to loss of powers (similar to what is being played out in the Superman and Action Comics titles) which Johns utilises to Luthor’s advantage, allowing him further opportunity to show his disdain for the Man of Steel. Yet, Johns deftly infuses Luthor with some moral complexity by demonstrating his willingness to put his hatred aside for the sake of survival. What’s most anticipated is seeing the conflict between Darkseid and the Anti-Monitor truly come to a head and by the close of this issue there’s no doubt that all will be coming to bear sooner rather than later and the potential and consequences of two of DC Comics biggest super antagonists hopefully played out fully in forthcoming chapters. Johns has been DC’s key writer for many years and as always it’s clear that he knows these characters well, with a firm grip on DC Comics mythology and he has the perfect partner in penciller Jason Fabok whose richly detailed, solid blockbuster visuals (enhanced by Brad Anderson’s colours) rise to the call of whatever Johns brings to the table. Long may the partnership continue and here’s hoping that the duo can continue to hit the mark with this ambitious, epic story and beyond. The bottom line: With an incredibly talented creative team delivering a visually and narratively epic story, Justice League is currently DC’s finest comic book and not to be missed. Justice League #43 is published by DC Comics and is available in print and digital formats now. Cover artwork for DC Comics’ ‘Justice League’ #43 by Jason Fabok. By now it’s well known how badly Fox’s new big screen iteration of Marvel Comics’ Fantastic Four has been received (some may say it was even predicted), both from a critical and commercial perspective. It’s a shame because in the opinion of this reviewer, it’s not the disaster it’s made out to be, sure there are flaws and rumour is rife that much of the blame may rest with studio 20th Century Fox, who reportedly hijacked the production in a frantic effort to rework the film’s third act into something more commercially viable. 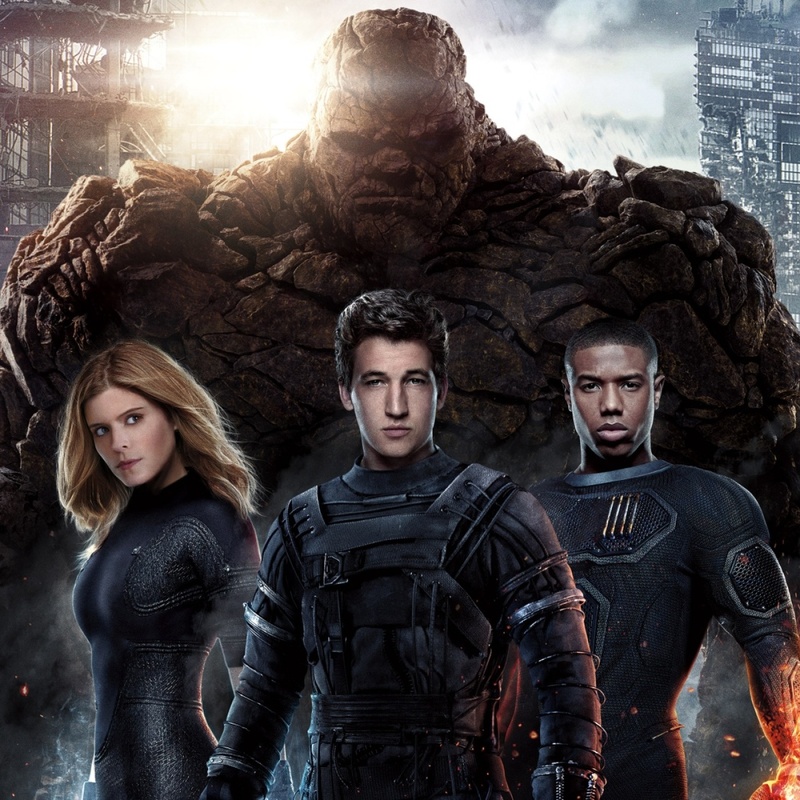 Serving as a reboot of the Marvel franchise, director Josh Trank’s Fantastic Four is a darker, more realistic and cerebral take on the titular superhero team – this is certainly not Guardians of the Galaxy and far removed from Fox’s previous lighter and more colourful efforts from director Tim Story (2005’s Fantastic Four and 2007 sequel 4: Rise of the Silver Surfer). It’s actually a welcome reinvention of the FF universe and works much better than initial trepidations suggest, given the overall lighter tone of the comics. Although largely lacking the humour of the source material, much of the imaginative science fiction and pioneer elements reminiscent of the earliest runs of the Fantastic Four comics by Stan Lee and Jack Kirby are present and neatly melded with character drama and some Cronenberg-lite body horror that juxtaposes the fantasy of the future super team’s transformations (which proves particularly effective in the case of The Thing). Taking its lead from Marvel’s Ultimate Fantastic Four line of comics, we are presented with younger versions of the iconic superhero team and the reimagined origin of their abilities (resulting from trans-dimensional teleportation instead of the bombardment of cosmic rays as depicted in the original comics and the 2005 Fantastic Four film). As Reed Richards, Miles Teller embodies the right mix of nerdy awkwardness and wide-eyed enthusiasm and is arguably the best of the cast, while Kate Mara (House of Cards) provides an interestingly subtle and introspective interpretation of Sue Storm, adoptive daughter of scientist Dr. Franklin Storm (Reg E. Cathey) who seems slightly at odds with his reckless son Johnny Storm (played by Michael B. Jordan, whose casting was the source of much controversy). Given less focus is Jamie Bell’s Ben Grimm who doesn’t get enough screen time before his transformation into the rock creature eventually known as ‘The Thing’ (now brought to life in CGI), which is a shame as the friendship between Richards and Grimm forms part of the FF’s family dynamic, which we only just see beginning to blossom by the closing credits. Tim Blake Nelson’s gum chewing Dr. Allen aside, the villainy of Fantastic Four is unleashed via Victor Von Doom (aka Dr. Doom) played by Dawn of the Planet of the Apes’ Toby Kebbell. Kebbell is perhaps not as well served by the script as he could have been but non-the-less provides enough danger and high stakes for the heroes to unite against. Going back to those aforementioned rumours of studio meddling, this becomes evident as Fantastic Four approaches its climax and shifts from modestly paced character drama and coming of age origin story to something more reminiscent of a straightforward comic book action vehicle. It does make the overall production feel a little disjointed but despite some hasty studio implemented reshoots, Fantastic Four ultimately delivers a suitable finale. There are some decent ideas in Fantastic Four, as I’ve cited it channels those SF/pioneer elements of Stan Lee and Jack Kirby’s original concept and the U.S. government’s exploitation of the team’s newfound abilities, although not wholly original, adds some interesting dramatic layers (most significantly in the case of The Thing). Perhaps not enough time is taken to establish the key family dynamic of Marvel’s ‘First Family’, yet this is after all an origin story and there is certainly some foundation that could be built on with any sequels (which now seem unlikely, given disappointing opening weekend box office returns). Despite a relatively short running time, there are moments when the film’s pacing feels a little sluggish, it’s been suggested that Fox cut three proposed action set-pieces as Fantastic Four began production and had they committed to their inclusion and allowed Trank (who had already previously delivered an excitingly fresh take on the superhero concept in Chronicle) to fulfil his original vision it could have received a much more positive reception and any kinks worked out with subsequent instalments. The bottom line: Fantastic Four has its flaws but for those who prefer a more cerebral take on the genre, it certainly has something to offer. Fantastic Four is in cinemas now. Marvel Comics’ first superhero team are reimagined for 20th Century Fox’s ‘Fantastic Four’.